In what amounts to a mea culpa New York Times op-ed, Peter Buffett, Warren Buffett’s son and overseer of his own philanthropic foundation, denounces the “charitable industrial complex” as little more than a conscience-salve for the rich. His evidence: that there are more non-profit organizations than ever receiving more funds and employing more people–but human suffering nonetheless continues. “As more lives and communities are destroyed by the system that creates vast amounts of wealth for the few, the more heroic it sounds to ‘give back’”. His vague corrective is not, he assures, an end to capitalism– –but an infusion of “humanism”. 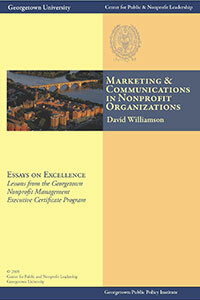 Marketing gets no respect in the nonprofit world. Program people tend to hold the most senior positions in nonprofits and accordingly have the most status. Fundraisers are often viewed as necessary evils, as are operations staff, including those who labor in the communications and marketing departments. Click here to download the full booklet. Boards of Directors are groups of people, and they experience all of the struggles and have all of the needs that are typical of groups. They need structures and systems. They need skillful facilitation of meetings. They need clarity of decision-making procedures and rules. They also need an occasional therapy session. Nonprofit organizations are often established in response to a societal need and the vision of its founders to address it. The strategies adopted to implement the mission also come initially from the founders’ insights and experiences. As organizations grow and the founders begin to share ownership of their vision with others, stakeholders ask questions of vision and strategies. The original founders’ plan may be in their heads and in their hearts, but the new stakeholders need a more formal representation and shared understanding of the organization’s future. The 1987 book Showdown at Gucci Gulch, by reporters Jeffrey H. Birnbaum and Alan S. Murray, chronicles the ups, downs, and ultimate victory of 1986 tax reform. In terms of offering insight into and conveying the drama of the Congress, the book tells an important story of lobbying. It describes how high-priced lobbyists, decked out in their fancy suits and shoes, lurk outside the Senate Finance Committee meeting room in the Dirksen Senate Office Building, waiting to pigeonhole senators on their pet issue in the tax bill. Dubbed Gucci Gulch, it is a formidable showing. 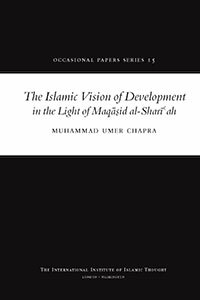 M. Umer Chapra is Research Advisor at the Islamic Research and Training Institute (IRTI) of the Islamic Development Bank (IDB), Jeddah. Prior to this position, he worked at the Saudi Arabian Monetary Agency (SAMA), Riyadh, for nearly years, retiring as Senior Economic Advisor. He has also taught as Assistant and Associate Professor of Economics at the University of Wisconsin (Platteville) and the University of Kentucky, Lexington; as Senior Economist and Associate Editor of the Pakistan Development Review at the Pakistan Institute of Development Economics; and as Reader (Associate Professor) at the Central Institute of Islamic Research (Pakistan). He is a prolific writer having authored books and monographs, as well as many papers and book reviews. Click here to download the full book. Dr. Faisal Islam has over 15 years of experience in international development. His areas of interest are monitoring & evaluation systems, program evaluation, place based pedagogies, and community based partnerships. He received his PhD in Policy, Administration and International Education with a focus on participatory evaluation from McGill University. Dr. Islam has co-edited School-University Partnership for Educational Change in rural South Africa: Particular Challenges and Practical Cases. Dr. Islam has worked with several international non-profit organizations. He is currently working as Manager, Monitoring & Evaluation with Canadian Feed The Children in Toronto. 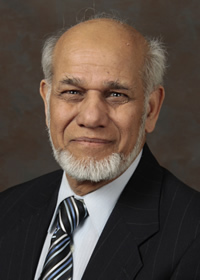 Dr. Iqbal Unus [Ph.D, Emory University 1977] has focused his professional career on the evolving Muslim presence in America, gaining distinctive insight into its growth. He is associated with the International Institute of Islamic Thought, and has served as secretary general of the Islamic Society of North America, where he is currently member of the Board. He has published several articles in Islamic Horizons, a book chapter in The Muslims’ Place in the American Public Square, and two children’s books, as well as abridged Apostasy in Islam: An Historical and Scriptural Analysis, and edited Muslim American Life: Reflections and Perspectives. He served on the Research Committee for The US Mosque Survey 2011. The writer is a research fellow at the Risk and Sustainable Management Institute at the University of Queensland and an associate professor of economics at LUMS. Something quite extraordinary has been happening lately. A French economist is receiving rock star treatment in the US. Some are calling it a silent revolution in the field of economics. The economist is Thomas Piketty, and his claim to fame is a 700-page book he penned on inequality and its relationship to capitalism. The book, originally in French, has just been translated into English, and has made it to a number of bestseller lists in less than a month.